Where did the name “Frederick” come from? Sometimes it is the simple things that can be questionable. For example, Charles Fred. Schlotterbeck’s name. On Ancestry.Com there are 2 trees which indicate his name as Charles F. Schlotterbeck. Almost every document I’ve found regarding Charles indicates his middle initial but nothing more. There are 8 member trees which indicate his middle name is Frederick. So, I wondered, where did they get “Frederick” from. One source I’ve encountered, a Christening index, indicates his middle name as “Fred.”; however, it is a leap to say it is “Frederick” from just that. It could just as easily be Fredric or Fredrick. It could be Friduric, Friedrich, or even just plain old Fred and the period in the index was just an interpretation of an errant dot. I’ve emailed a couple of the folks to see what the source for “Frederick” is. I also ordered the microfilm from Family Search to view the original document the index was made from for myself. Possibly, the film will help as well. In any event, I’m sticking with “Fred.” until I see an original source that indicates something else. Even that is tentative until I actually see that original document and not just the index. Charles Fred. Schlotterbeck was born 25 Feb 1870, in Hagerstown, Washington county, Maryland, the sixth of eight children of John Jacob and Katherina Bertha (Schmidt) Schlotterbeck. Two of his siblings, Louisa and Emma died before he was born. There is some confusion regarding Charles’ birthdate. His christening index indicates he was born on 23 Feb 1869, however the 1870 Census, taken in June 1870 clearly indicates his age as 3/12 and that he was born in February. So, I am confident that the 1870 year is correct. The 23rd or 25th day might still be in question, again, I’m very interested to double-check the christening record’s original and see if it may have been misinterpreted. Charles father was a farmer and his mother was keeping house according to the 1870 Census. His two brothers, William and Daniel, and his sister Bettie were living in the same household. Two more brothers, George & John, were born before the 1880 Census at which time his father was still farming and his two oldest brothers were working on the farm. Charles and his three youngest siblings were attending school. Charles moved to Martinsburg, West Virginia and met Wilhelmina Fredericka Rumple. They were married at St. John’s Lutheran Church in Martinsburg at a 2 pm ceremony on 24 Oct 1893. Their first child, John Frederick was born ten months later on 24 Aug 1894 in Martinsburg. At the time, Charles was a Saloon keeper. John was the first of eleven children the couple would have. Their second child, Catherine Anna Schlotterbeck, was also born in West Virginia sometime in 1895-1896. Their third child, Lillian Marie was born in Maryland in 1897 or 1898, so it appears that the young family moved to Hagerstown by then. On 14 Sep 1899, Charles and his five living siblings attended a birthday party, in Hagerstown, celebrating his father’s 68th birthday. The 1900 census finds Charles owning a home at 412 North John St Lane(?). rural Washington County. He is working as a baker. With him is his wife, Minnie, of seven years and four of their children, Frederick, Catharine, Lillian, and Rhinehart. The 1910 census corrects the address where they were living to 412 North Johnathan Street, a location that is a vacant lot today. Charles still owns the home. With Charles is his wife, this time spelled “Relanins” however, she and Charles had been married for 16 years at this point. Another four children are living in the home, Carl J, “Relanina,” Herbert M, and the baby, Robert J only 11 months old. Charles’s occupation is the proprietor of a bakery. The 1920 census shows that Charles and family had moved to 34 East North Street. John Frederick & Catherine had moved out by then and “Relania” (Wilhamina) died in 1910, leaving eight children at home. Living with them was Charles’ brother, George. Charles was working as a baker, this time at a pretzel factory. The 1922 Hagerstown city directory indicates that Charles moved again, this time to 31 E Lee. 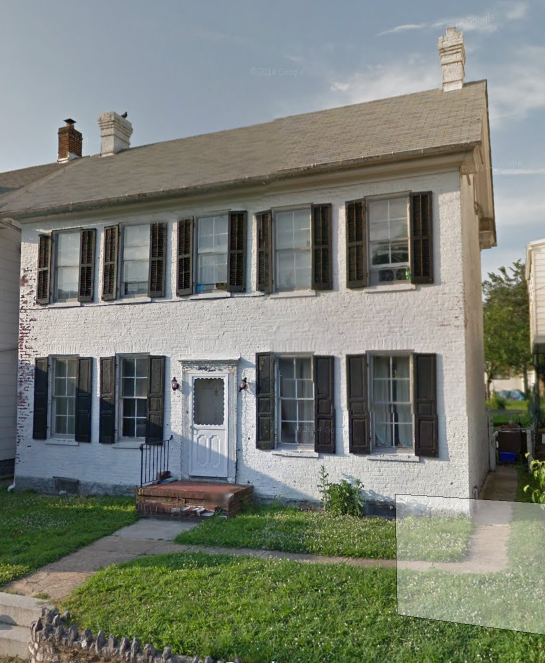 Also living at 31 E Lee was his son, Herbert M (also a baker) Lillian M., Rinehart V., and Wilhelmina (John’s wife). I also expect that his minor children would have been living there also making for a very full house. 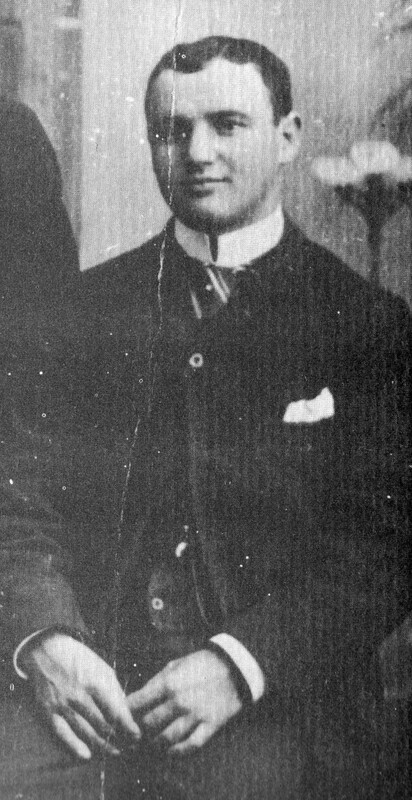 Charles Fred. Schlotterbeck’s wife, Wilhelmina, died on 6 Apr 1925. Charles followed her two years later dying on 24 Oct 1927. The two are buried at Rose Hill Cemetery, Hagerstown, Washington county, Maryland. Never accept other people’s work without performing an analysis of where they got their information from. If their citations to match their facts, try to determine how they arrived at the fact in question. Consider a fact as “tentative” if its source is an index, then seek out the document that the index was created from. Review Christening Document for Charles Fred. Schlotterbeck – Maryland Births and Christenings, 1650-1995 – GS Film number: 859283, Reference ID: p.368. Ancestry.Com Census Records – 1870 US Federal Census – Hagerstown, Washington, Maryland; Roll: M593_596; Page: 84A; Image: 174. Ancestry.com , U.S. City Directories — Hagerstown, Maryland – 1922 – Pgs 644-645. Family Search – 1880 US Federal Census – John Schloterbeck, Hagerstown, Washington, Maryland, United States; enumeration district 146, sheet 68C. Family Search – 1900 US Federal Census – Chas H Schlotterbeck, Hagerstown city Ward 5 (east part), Washington, Maryland, United States; sheet 10A, family 212. Family Search – 1910 US Federal Census – Chas F Schlotterbeck, Hagerstown Ward 5, Washington, Maryland, United States; enumeration district (ED) 149, sheet 7B, family 159. Family Search – 1920 US Federal Census – Charles F Schlotterbeck, Hagerstown Ward 4, Washington, Maryland, United States; sheet 4A, family 77. Family Search – Maryland Births and Christenings, 1650-1995, Charles Fred. Schlotterbeck, 23 Feb 1869; citing ; FHL microfilm 859283. 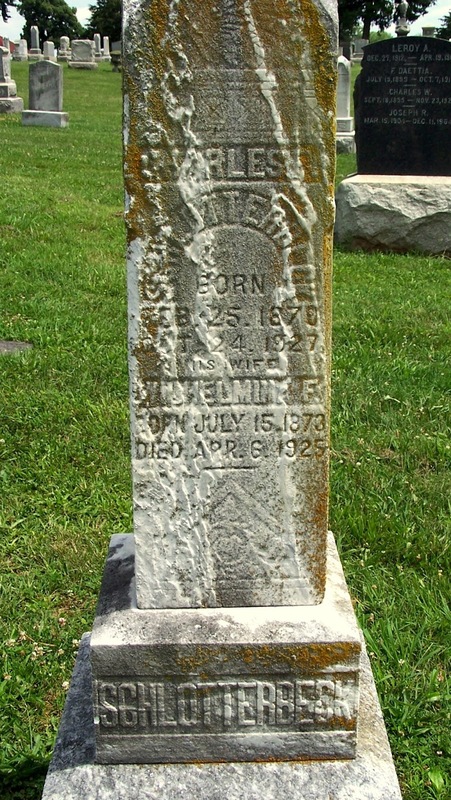 Family Search – West Virginia Births, 1853-1930, Slanterback, 24 Aug 1894. Family Search – West Virginia Marriages, 1780-1970, Charles F. Schlotterbeck & Wilhelmina F. Rumple, 24 Oct 1893. Find-a-Grave – Memorial #42279195 – Charles F Schlotterbeck. Oct 19, 1893 · Page 6 – Approaching Nuptial. Newspapers.Com – The Mail (Hagerstown, MD) 22 Sep 1899 · Page 14 – A Festal Occasion.